Charlton House in Greenwich, London has a reputation for being one of the most haunted houses in the region. This sprawling Jacobean Mansion with its creepy attic and dark basement sends shivers up your spine just walking through it. The Team have access to the whole mansion including several Grand Rooms where so much activity has been witnessed. 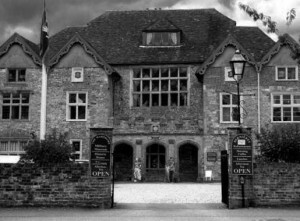 Ghost hunting at Charlton House leaves nothing to the imagination and gives us all who investigate here the opportunity to witness the paranormal. 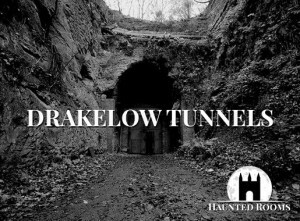 Hopefully you will not be alone when you come face to face with the activity of the spirits that lurk here. Ghost hunts at Charlton House in Greenwich, London always give us the ultimate in ghostly activity. The imposing Charlton House in London dates back to the reign of King James I and has many reports of paranormal sightings. 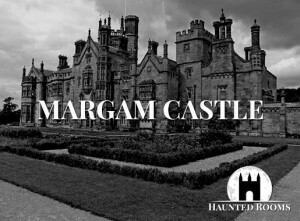 A ghostly grey lady has been seen walking the grounds and visitors have reported doorknobs rattling and an oppressive feeling in the attic and cellars. 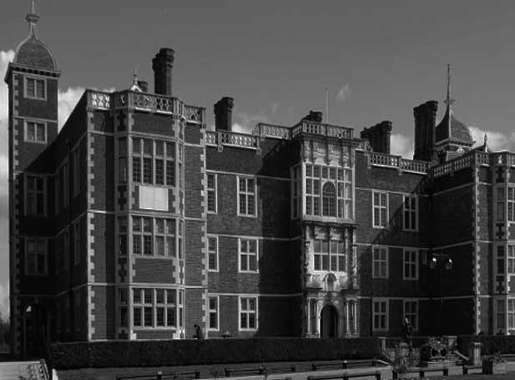 Ghost Hunts at Charlton House offer a unique opportunity to experience a genuine haunted house in the dead of night. 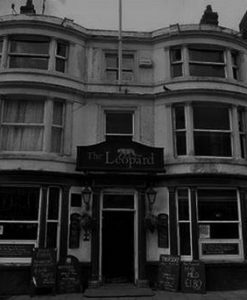 Who or what will you encounter as we venture into this old family home for an overnight ghost hunt in search of the spirits that lurk within? The spooky and imposing Charlton House is a Jacobean Mansion in South East London with a long history of ghostly sightings and reported phenomena. 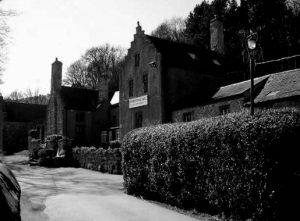 A ghostly ‘grey lady’ is said to haunt this house and The Team have exclusive access through the night to carry out a ghost hunt throughout its many rooms. 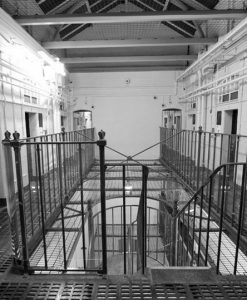 Over the years many ghostly occurrences have been reported at Charlton House. There have been reports of a ghostly ‘grey lady’ seen walking the garden carrying a bundle which resembles a baby and many staff have described that personal belongings have mysteriously disappeared before appearing in a completely different place. 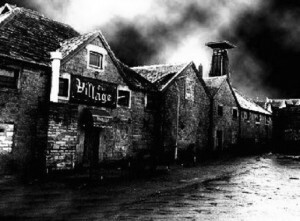 Many staff members refuse to enter the attic room alone due to the oppressive feelings people describe in here and the cellars have such an atmosphere that you cannot fail to be frightened when down there alone. During restoration work, the mummified body of a baby was discovered in an old fireplace within the mansion and is believed to have been the child of a servant who was either stillborn or dispatched in panic by its terrified parent. Charlton House was built in 1607 during the reign of King James I and featured a great hall, chapel, state dining room, saloon and gallery. It was built for Sir Adam Newton (tutor to James I’s son Henry) and has also been the family home of Sir William Langhorne who purchased the estate in 1680 and remained there until his death in 1714. He was desperate for an heir to inherit his title and lands but died childless and the lands passed to his nephew. His body is buried in the nearby Charlton Parish Church but his ghost is said to haunt the rooms and halls of Charlton House, still searching for a young lady with whom to produce an heir. Among several English houses with the name Charlton House, the most prominent is a Jacobean building in Charlton, London. It is regarded as the best-preserved ambitious Jacobean house in Greater London. It was built in 1607-12 of red brick with stone dressing, and has an “E”-plan layout. The interior features a great hall, chapel, state dining room, saloon and gallery. The house was built by the crown to house Sir Adam Newton and his royal charge. He was then Dean of Durham and tutor to Prince Henry, the son of James I, and older brother of the future Charles I. Greenwich Palace, where their mother lived much of the time, was nearby. But the prince died almost as soon as the house was finished, in 1612. Newton became Receiver-General, sold his office as dean, and in 1620 became a baronet. The diarist John Evelyn, who knew the house and was well acquainted with Newton’s son, Sir Henry Newton, stated that the house had been built for Prince Henry. Because of Sir Adam’s court connections, the designer of the house is often presumed to be John Thorpe, one of the first professional English architects, who had served as Clerk of Works for the royal palace at nearby Greenwich the Palace of Placentia. Thorpe had left the Office of Works in 1601 for private practice. Other royal connections are seen at Charlton House in the form of the Prince of Wales’s feathers above the east door to the hall and in the saloon, where there is also the royal monogram, “JR” (for James I); the royal Stuart coat of arms in the west bay; and the Garter and Prince of Wales’s motto, “Ich Dien” in the east bay. The garden-house, or orangery, which has been converted into a public toilet, is optimistically attributed to Inigo Jones, who is not otherwise connected with the house. Seemingly lurking behind the orangery is a Mulberry tree said to be the oldest of its species (Morus nigra) in the country, this old and venerable tree is thought to have been planted in 1608 at the behest of James I. A wing was added by Norman Shaw in 1877. 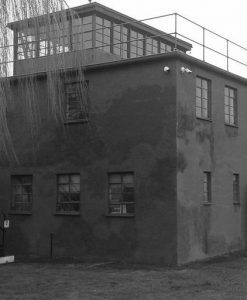 The house and grounds were used as a hospital during World War I and were bought by the Metropolitan Borough of Greenwich in 1925. The Chapel Wing was bombed during the Blitz and was subsequently rebuilt albeit with non-matching bricks such as were available in the immediate post-war period. Formerly housing a museum, the house is now a community centre, and much of the former pleasure grounds are parks, although remnants of the house gardens survive as does a short section of Ha-Ha. The walled gardens and some of the perennial borders were redesigned and re-planted by the landscape designer Andrew Fisher Tomlin in 2003-2004 for the Royal Borough of Greenwich with perennial meadow planting to the main walled kitchen garden retaining three ancient Prunus app. trees. One of the spaces includes an Amnesty International Peace Garden with planting also designed by Fisher Tomlin.